Many of the series’ cast has been out promoting the hit HBO show, including Kit Harington, who plays Jon Snow. 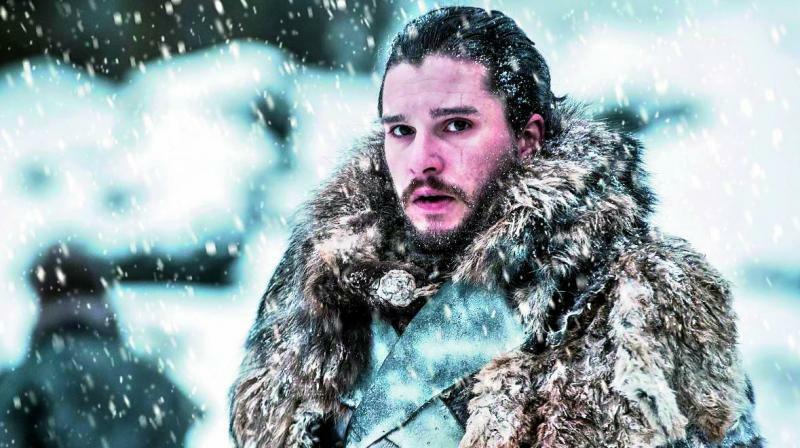 Mumbai: The final season of Game of Thrones is here and fans are eager to finally discover how things will pan out for the residents of Westeros. Many of the series’ cast has been out promoting the hit HBO show, including Kit Harington, who plays Jon Snow. According to reports on DailyMail.co.uk, when Kit paid a visit to The Graham Norton Show alongside Julianne Moore and Avengers: Endgame’s Chris Hemsworth and Paul Rudd, Norton asked Harington what it was like ending his long tenure as Jon, and the actor shared a hilarious yet emotional story. The Pompeii actor told the talk show host, “I was determined to be cool about the end and decided that when people came up to me and said, ‘Are you Jon Snow?’ that I would say very calmly, “I used to be’.” However, it ended up happening very differently for Kit, as he explained to Graham. “When I left the set for the final time, I was very emotional, and when a girl came up to me and asked the inevitable question, I broke down and cried, ‘I used to be’.” revealed the English actor.